Dessert for breakfast? Veggies for breakfast!? As a dietitian, I get equally excited about both! And I think you will be excited too when you try this delicious morning treat. 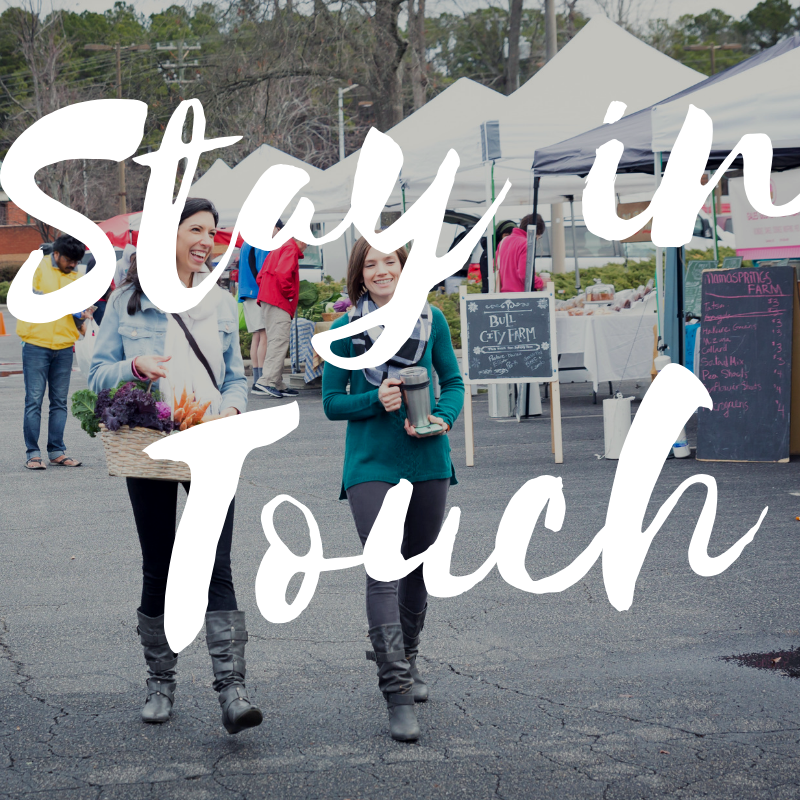 If you want to start your day with a nourishing breakfast that is ready in no time, look no further. Simply make up a batch of these one night and have breakfast for the next 2-3 days. 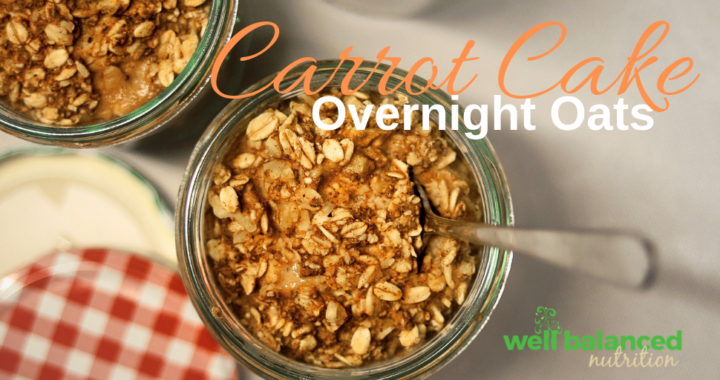 Carrot cake overnight oats offer fiber, protein, healthy fat, complex carbs, and phytonutrients. In other words, it’s a breakfast that you can feel really good about. If you like a warm breakfast like me, just slowly heat your oats up in the microwave (or on the stove if you have more time) right before eating. Feeling fancy? Garnish with your favorite Greek yogurt and a few more raisins. I’ve also put granola or nuts on top to add a fun crunch. Combine all ingredients into a glass jar with lid (pint size or bigger), secure lid, and shake vigorously to mix well. Place in refrigerate for up to 4 days. 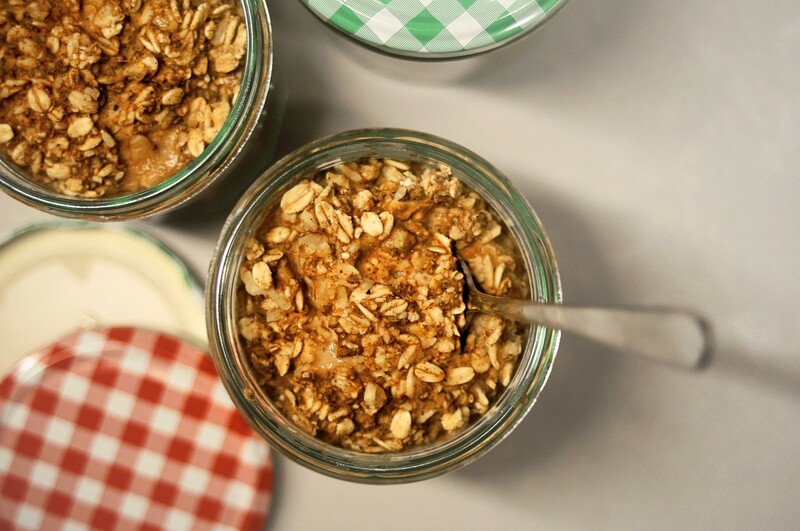 When ready to eat, stir contents of jar well, and pour half of oat mixture into a bowl. Microwave for 20-30 seconds at a time if a warm oatmeal is desired. Optional: top with a dollop of plain or vanilla Greek yogurt and/or chopped nuts.